This is no different than the wicked occultist Aleister Crowley's creed: "Do as thou wilt shall be the whole of the law" Will the church ever wake up to the subtilty and craftiness of Satan? "But Elymas the sorcerer (for so is his name by interpretation) withstood them, seeking to turn away the deputy from the faith.Then Saul, (who also is called Paul,) filled with the Holy Ghost, set his eyes on him. My daughters sat intermingled with their cousins in the theater seats watching the movie “Frozen,” spellbound by a colorful world of ice. But when I later heard one of my bouncy-haired girls belting out, “No right, no wrong, no rules for me. I’m free,” I felt no small amount of uneasiness. Some like-minded friends have picked up on the regrettable message in Frozen’s hit song “Let It Go.” One friend commented on the Dante-like danger of Elsa’s desire for freedom by shedding self-restraint while the other rightly bemoaned its popularity as a haunting example of the (possibly) dangerous beauty of being true to yourself. As it turns out, “Let It Go” was originally meant for a villain, and Disney re-wrote the movie around the song in order to establish a sympathetic portrayal of Elsa, the lost girl-become-queen who had suppressed her magical powers so long. I can see why folks might think that “Let It Go” was sort of an unfortunate anomaly in an otherwise Christian message of love and self-sacrifice. After all, the trajectory of the story followed a much healthier arch than most Disney princess movies. Self-sacrifice, not sentimental romance, was squarely placed as the defining factor of love. “Frozen” was an anti-Cinderella story in which love is a commitment proven by sacrifice. If “Frozen” had such a better take on love, maybe we should take our concern with its main song and just let it go; yet the song’s theme is not just a melodic inconsistency, but woven throughout the movie. Christian parents can use it as an opportunity to teach their kids discernment. “Frozen”, like all narratives, portrays an understanding of what makes people tick. This is unconscious building material for your kids to understand their own experience. Since Scripture is the quality control for all such building material, let’s pose a question that will be a good quality test: why did things go wrong in the (Elsa’s) story? The answer given throughout the narrative is simple. Fear. Specifically, the fear of others knowing what’s inside you. This particular brand of fear is otherwise known as shame. The bad things Elsa did were because she feared that this strange power within would be found out by others or would hurt them. Her parents put her behind closed doors, and she lived her life dealing with what was inside her by stuffing it deeper. 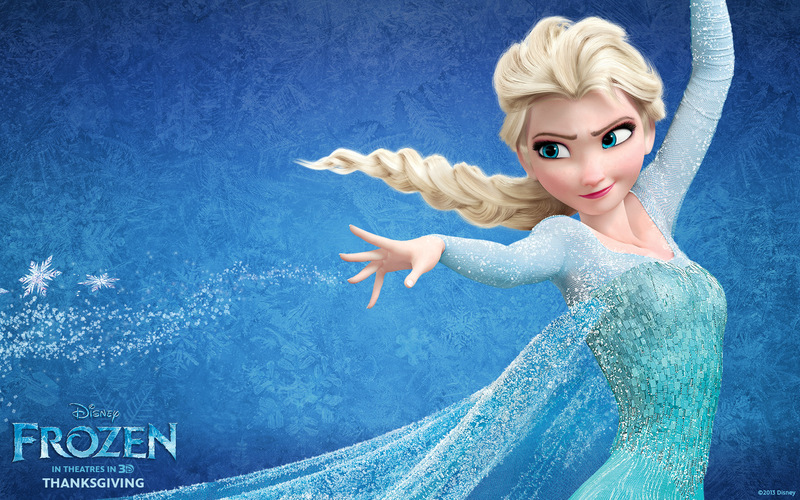 The strain on Elsa of keeping this hidden inside finally causes her to break into that glorious, icy anthem. The problem is finally resolved when Ana’s love teaches Elsa she no longer needs to fear others knowing what’s inside her. In this new state of acceptance, Elsa’s powers create ice skates instead of polar monsters. This lesson is not entirely wrong. Christians should acknowledge that shame reaps relational havoc and corrodes a person’s soul. Hiding from each other was the very first effect of sin and it causes people to do terribly self-destructive things (Genesis 3:7). We should also acknowledge the temptation to take on the values of others and (the temptation to) feel embarrassed that they don’t line up. Simply trying to conform to those values will build up desperation until a polar explosion occurs. The problem with “Frozen’s” lesson on shame, though, is that it tackles an essentially theological topic without theology – it tells a story about shame with no reference to a moral standard, only to other people’s expectations. Thus, shame is solved relationally. None of our children have magical freezing powers. But the power of narrative is that we relate our experience to the heroine’s. Children, particularly as they grow through adolescence and into their teenage years, will be aware of things inside them that don’t fit the expectations of everyone around them — including moral standards of God taught to them by others. The solution will not be found on the plane of human relationship – either by throwing off their opinions and living openly in isolation (as in “Let It Go”) or by finding people who will accept what’s inside (as in the movie’s ending). Since shame is theological, its solution is also theological. Though Adam and Eve’s sin made them first hide from each other, their greater fear was that God would find them (Genesis 3:8). And this has been our fear ever since. Shame is not merely the product of stuffing your true feelings because of others’ expectations. Shame is an internal witness that there is something profoundly wrong that only God can set right. The only solid building material for our children’s identities is that backwards message of Jesus who came to tell good people that they are actually quite bad, and bad people that He can make them good (Mark 2:15-17). Such a message made one particularly shameful woman shout openly in the streets, “Come, see a man who told me all that I ever did. Can this be the Christ?” (John 4:29). So use “Frozen” as an opportunity to talk to your kids about shame. Give them fair warning that there will be things inside them that they will be tempted to hide. But fear can keep them from being open to grace. Jesus has powers, too. But unlike the problems and solutions of an imaginary world, His saving power changes reality. Even the reality within us.